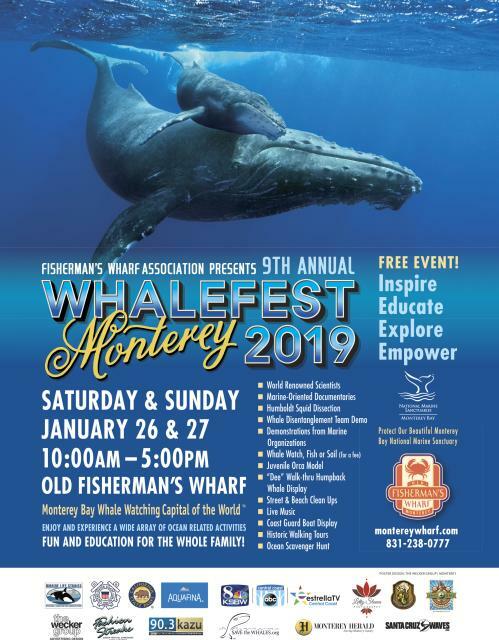 Celebrate the return of gray whales to the Monterey Bay during Whalefest Monterey at Old Fisherman&apos;s Wharf. 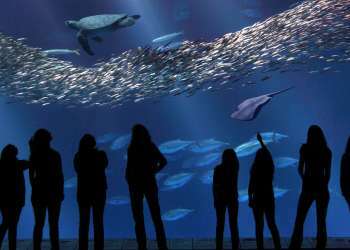 This free, fun and educational interactive family event celebrates the biodiversity of the Monterey Bay National Marine Sanctuary and much more! The event features a 2-day symposium with world-renowned marine experts and dozens of exhibit booths. Saturday and Sunday from 10am-5pm. 1 Old Fisherman’s Wharf, Monterey. Free event. Hit the trails with guides from the State Parks system this AM! The Asilomar Ramble will take hikers through Asilomar State Park with interesting tidbits about the coastal refuge and its correlation with famous architect Julia Morgan. Friday and Saturday at 10am. 800 Asilomar Avenue, Pacific Grove. Free event. Reserve your spot by calling (831) 646-6443. Get ready and get set for The Half Marathon at Pebble Beach! 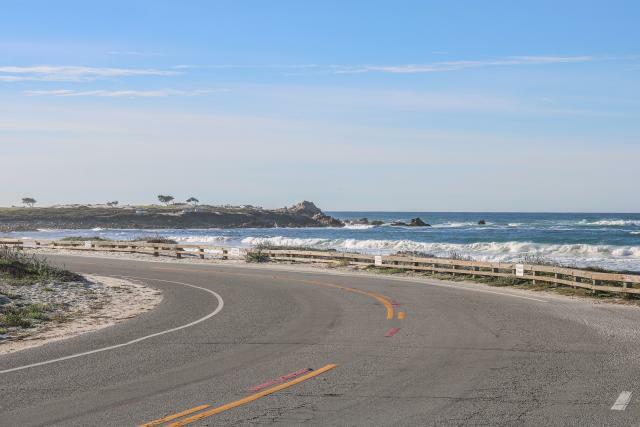 This morning runners will be inspired by scenic views along iconic 17-Mile Drive and a post-race brunch at The Inn at Spanish Bay. 10K and 5K routes are also available. 7am. Pebble Beach. 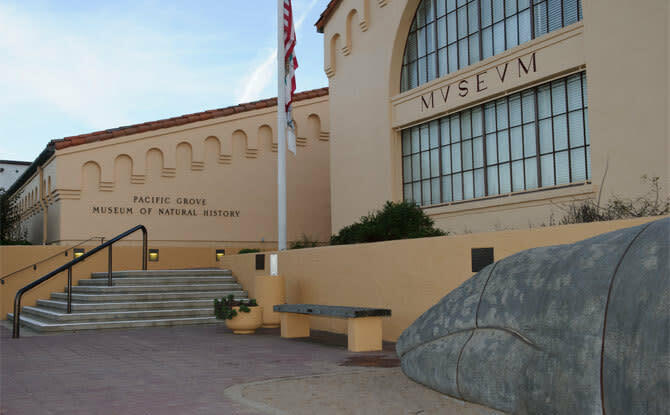 Learn all about the whale migration at the Pacific Grove Museum of Natural History. This month’s Science Saturday focuses on Amazing Migrations and investigates the world of long-distance animal travels. There will also be activities and crafts for kids, and of course we will be celebrating another birthday for Sandy the Whale. 10am-3pm. 165 Forest Avenue, Pacific Grove. Free event. Head over to the Monterey Bay Meditation Studio in Pacific Grove today for “Knowing Who You Are.” Through writing, meditation, and sharing, explore your history, your values, your strengths, and your struggles in service during this retreat. 10am-4pm. 529 Central Avenue, Pacific Grove. $95. Kick off 2019 with a Natural Preserve Walk through the Asilomar Dunes with guides from the State Park system. 1:30pm-2:30pm. 800 Asilomar Avenue, Pacific Grove. Free event. Reserve your spot by calling 831-646-6443. Historic Mission San Antonio de Padua, established in 1771, hosts its Annual Cutting of the Roses and Brunch this morning. 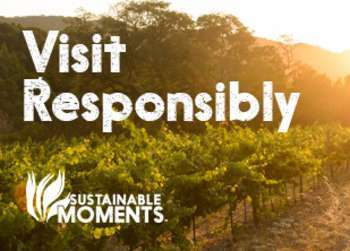 See the beautiful mission grounds, enjoy a delectable brunch and take home a treasure from the Mission’s beautiful Padres’ Garden! 10am-1pm. Mission San Antonio de Padua, Jolon. $10 for brunch.